Samsung's first folding smartphone has been a big hit since its presentation on the New York stage at the last Unpacked event. 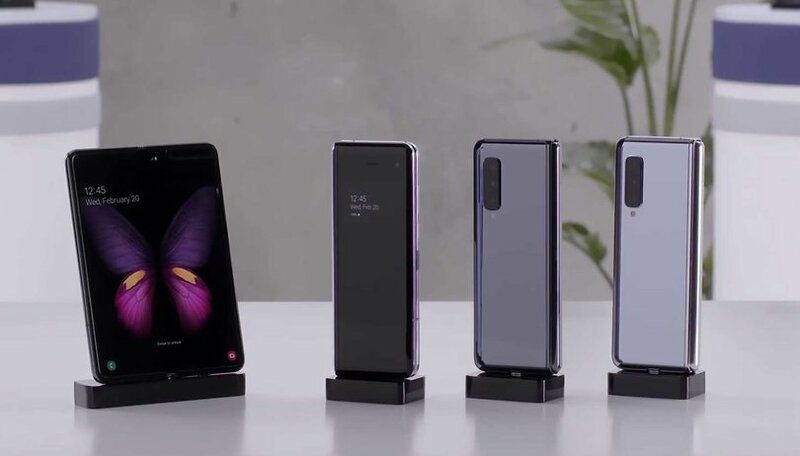 Until now, the company has not allowed the media to get their hands on the Galaxy Fold, but it seems that some testers have the folding smartphone at their disposal already. There are no media hands-on videos for the Galaxy Fold. That's because the Korean company didn't let anyone get close to its new jewel before it went on sale. The most journalists, bloggers and YouTubers could do was look at the smartphone from behind a glass case. Some testers, however, seem to have already gotten their hands on the new folding Galaxy and have posted videos in which the device can be seen in action. In the first leaked video, the most striking feature was the presence of a conspicuous fold in the middle of the display, exactly where Galaxy Fold bends to close. It seems that we will not get rid of this display crease very soon. It is perfectly visible in the latest video leaked online as well. Many hoped Samsung had managed to avoid the problem, but judging from what we can see on the video, it seems that those who will be so crazy as to spend thousands on the smartphone will have to learn to live with it. However, it must be admitted that with the display on and well lit, this 'defect' is practically impossible to notice. We are looking forward to getting our hands on the new Galaxy Fold. What do you think about it? Are you excited? Let us know in the comments below.